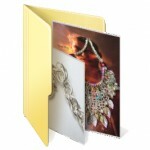 This Jewelry Design & Handicrafts Collection is for you to use for free. You can copy, "steal", share, and enjoy the ideas & designs. In the creative world of jewelry making and related creative pursuits, no one stands alone. 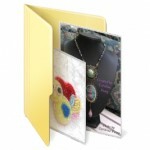 For navigational ease, I have divided the Jewelry Design & Handicrafts Collection into main categories/galleries. I am a great believer in the Universe's Abundance. Ideas and inspirations, whether it be on jewelry designs or other endeavours, are one of those limitless abundance. And I believe that all our great ideas stand on the shoulders of all those that came before and from all that Nature freely offers everyday. New ideas and designs are built upon and morphed from old. That I believe is the process of Evolution and the nature of Nature. Perhaps this goes against the grain of many who are concerned over copyright issues for their craft and jewelry designs. They have the right to be concerned especially if they believe (and so is made manifest) that ideas/designs "stolen" from them will somehow diminish a part of their lives (especially their financial income). This section below is mostly then about my work. In most of these articles, I will normally write down technique overviews that will clarify for you how something was done or will, in their brevity, trigger in you, other lines of creative thoughts. It also serves to remind me how I made something - coz. over time, that often becomes blur in my own mind! I will also provide lots of photos whenever I can so that you can visually see things in details. Collection of handcrafted accessories and brooches, is collated from newest to oldest. Click on each thumbnail to view the full details. I try to include detailed photos and some tips or basic steps on how an item was made. If you see this, your browser does not support IFRAME. Please click Accessories / Brooches to view in new window. This handcrafted collection of bracelets & cuffs, is collated from newest to oldest. Click on each thumbnail to view the full details. I try to include detailed photos and some tips or basic steps on how an item was made. If you see this, your browser does not support IFRAME. Please click Bracelets and Cuffs to view in new window. 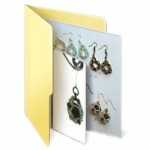 This collection of earrings is collated from newest to oldest. Click on each thumbnail to view the full details. I try to include detailed photos and some tips or basic steps on how an item was made. If you see this, your browser does not support IFRAME. Please click Earrings to view in new window. This collection of necklaces and chokers is collated from newest to oldest. Click on each thumbnail to view the full details. I try to include detailed photos and some tips or basic steps on how an item was made. If you see this, your browser does not support IFRAME. Please click Necklaces and Chokers to view in new window. This collection of pendants, rings, and sets is collated from newest to oldest. Click on each thumbnail to view the full details. I try to include detailed photos and some tips or basic steps on how an item was made. If you see this, your browser does not support IFRAME. Please click Pendants, Rings, and Sets to view in new window. This collection of rosaries and crosses is collated from newest to oldest. Click on each thumbnail to view the full details. I try to include detailed photos and some tips or basic steps on how an item was made. Each rosary is totally hand wired/knotted/strung together. If you see this, your browser does not support IFRAME. 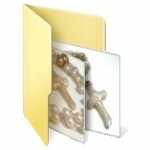 Please click Rosaries and Crosses to view in new window. 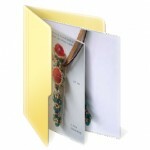 This handicraft collection is collated from newest to oldest. This section will cover craftworks like felting, knitting, crochet, general embroidery, mix media decor, etc. which is specifically gear to apparel, clothing, and body wear items. Click on each thumbnail to view the full details. I try to include detailed photos and some tips or basic steps on how an item was made. If you see this, your browser does not support IFRAME. Please click Apparel to view in new window. This handicraft collection is collated from newest to oldest. This section will cover craftworks like felting, knitting, crochet, general embroidery, mix media decor, etc., but that are non-apparel. Click on each thumbnail to view the full details. I try to include detailed photos and some tips or basic steps on how an item was made. If you see this, your browser does not support IFRAME. Please click Handicrafts to view in new window. The old general Gallery Designs consisted mostly of pop-up pictures. Still very interesting and evocative so please feel free to view as well.